While YouTube mostly serves up pre-uploaded videos for on demand viewing, they've streamed a few live events in the past, and today they started making it a regular occurrence. If you head to YouTube's new Live channel, you'll see a list of upcoming events that you can watch live, and chat with other YouTube users watching with you. Right now, they're rolling it out gradually, but quite a few popular channels are already streaming, like Hak5, Beyond The Trailer, and Geek Beat TV (pictured above). Head over to the Live channel to check out the upcoming events, and check out YouTube's blog post for more info. 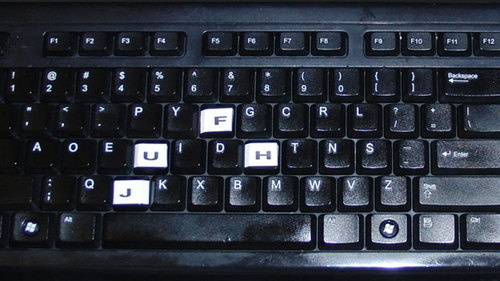 Have you attempted to make the change to a Dvorak keyboard layout? Let us know how it went in the comments! Animated gifs are the best thing about the internet age, I think we can agree, and it fills me with excitement that we are now able see our mobile internet devices realize their true potential as tools for creating them. 3Frames, a $3 iOS app, makes mobile gif-making a snap: it'll use your iPhone's camera to capture anywhere from 3 to 10 frames in rapid succession, then turning them into an animated gif played back at the speed of your choosing. Very nice! Mine is not representative of how cool they can turn out. The current generation of holograms are generally monotone creations, requiring a single color laser to construct. However, Japanese researchers have devised a new type of hologram technology that could be just around the corner. They work with normal light and can produce full-colored 3D images — where the color stays the same no matter how you look at it. This new technology works by hitting a thin metal film with three beams of white light, each from a different angle. Each beam excites a different color of light, which then passes through an RGB hologram, combining to form a full-color 3D image. The technique promises to more efficient, simpler, and more scalable than current color holograms. These new holograms wouldn't require special glasses or a restricted viewing angle, nullifying two of the major problems with present 3D technology. Who's up for a nice game of dejarik? Yeah, right, Wi-Fi isn't even the new hotness anymore. Our computers have it, our phones have it—wireless is old hat, and the most super-convenient way to network. But ethernet remains a big, snaky part of the internet. And one of the men behind the ubiquitous cord? Robert Metcalf, class of '69. Robert Noyce, who picked up his doctorate from MIT, and went on to both co-invent the microchip and found Intel. Not too shabby! So, the odds are fairly high that you've either used or are using something that (indirectly) sprang from this guy's cranium. His alleged earliest childhood memory is the agony of beating his father in ping pong, and having his mother comment, "Wasn't that nice of Daddy to let you win?" I guess that explains a lot about microchips, if you really think about it. Ol' TI, founded by MIT grad Cecil Howard Green, has had its fingers on almost every piece of electronic gut there is—lasers in missiles, digital signal processors in audio gear, processors in phones—but at the very least, you've probably held dear a TI-83+ at some point in your educational career. Unless you were one of those supernerds with a more advanced graphing calculator, in which case I hate you. But the things are still everywhere, synonymous with exam anxiety and covert in-class gaming. Yeah. Soup. Soup. Probably not what you associate with tech wizardry, but John Thompson Dorrance absorbed the chemical knowhow to turn mass-produced soup into an empire at MIT. Live in a city? Don't feel like owning a car? Maybe you use Zipcar! It's a neat convenience, and was co-spawned by MIT grad Robin Chase. It's not all as peaceful as graphing calculators and tomato soup, however—some MIT grads go on to make stuff that blows up other stuff, such as James Smith McDonnell. His firm is responsible for linchpins of American air power such as the F-15, the F-18, and the ever-popular Tomahawk missile. Kablooey! Okay, so he's not a thing or a company, but he's designed some of the most incredible and significant structures in history—the Louvre's pyramid, the East Wing of the National Gallery, and, controversially, the Hancock Tower in Boston. Where did I.M. Pei pick up his architectural prowess?—Hancock tower aside—you guessed it. So the graphic realism isn't quite Black Ops, but this military sim will actually influence real-world naval operations in the future. Fancy yourself a suave military gaming tactician? Is prestige level 24 starting to bore you on Black Ops? DARPA wants to put your strategic savviness to real military use by integrating its Anti-Submarine Warfare (ASW) Continuous Trail Unmanned Vessel (ACTUV) configurations into the sub-hunting simulator game Dangerous Waters. Download and play the game, and your tactical prowess may just be implemented into ACTUV's prototype software. DARPA's ACTUV program aims to develop new tools for anti-submarine warfare that include unmanned autonomous ocean-going vessels that can track quiet submarines hiding in the depths. But in order to figure out what tactics work (and don't work) for their ACTUV software, they need to test a variety of maneuvers and sub-hunting configurations in naval scenarios. That's where the crowdsourcing comes in. At the end of each round, the software will ask if you want to send your game data to DARPA for analysis—and for possible use in the crafting of ACTUV's software brain, once it is developed. Corner the crafty AI sub commander, and your data could inform a future line of defense against threats from the deep. When you think power generation in the early 1900s, coal and steam generally come to mind. But in Alexis Madrigal's upcoming book, Powering The Dream: The History and Promise of Green Technology, he shows that people were trying to find environmentally friendly alternatives via ocean waves in the nascent days of household electricity. Starr went on to declare that by December 1908, "Los Angeles will be a smokeless and sootless city, clean pure. It will be made so by all the power and heating plants being supplied with power and heat from the ocean waves by the Starr Wave Motor." Obviously this didn't pan out so well, but it's kind of cool (or possibly demoralizing) that clean energy was a consideration even before global warming entered the international lexicon. For the full excerpt from Madrigal's book, be sure to check out [Wired]. Make no mistake: that whole 3D-everything trend is snaking its way into professional-grade products. 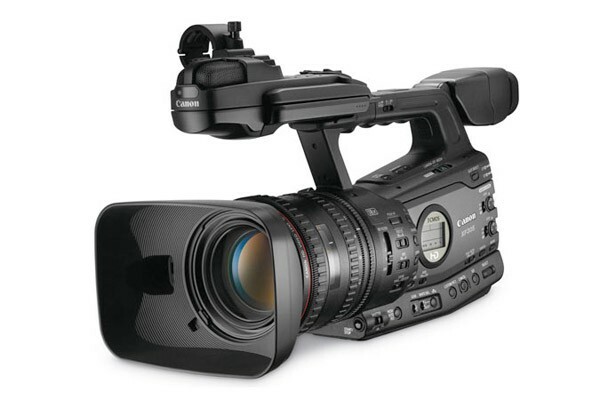 Canon has issued a firmware update allowing its year-old XF305 and XF300 pro camcorders to record 3D HD video. There's a catch, though: you'll need two of these bad boys, which cost a princely $8,000 and $6,700, respectively. For those with a well-stocked studio, Canon's "3D Assist Feature" aims to take some of the grunt work out of setting up two cameras to record in 3D by optically aligning their lenses and calibrating their zoom settings. The company also beefed up the scan reverse feature so that you can flip the orientation of the video to horizontal, vertical or diagonal -- a strong likelihood if you're using a 3D mirror rig. Canon slipped in a few extra goodies as well, including the ability to turn off relay recording from one memory card to another, and to simultaneously record to two memory cards, should you be paranoid about data loss. So what are you waiting for? Download the update. And, you know, get yourself a second camera. Canon's XF305 and XF300 pro camcorders can now shoot in 3D... if you buy two of them originally appeared on Engadget on Fri, 08 Apr 2011 11:19:00 EDT. Please see our terms for use of feeds. The latest in a long line of terrifying (and occasionally adorable) pseudo-arachnid robots, Kondo's upcoming KMR-M6 is doing more with less. Thanks to a unique spring supported linking leg joint, this hexapedal bug gives you the heebie-jeebies with only two servos per leg. The new leg design lowers build costs while improving performance and stability, and was developed for education, research, and hobbyist markets. 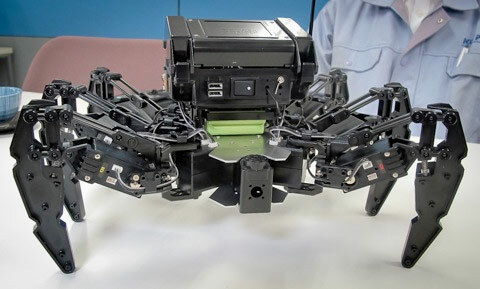 The base kit hits Japan next month for about ¥76,000 (about $880) and comes with twelve servos, a control board, a 10.8V 800mAh NiMH battery, software, and a frame with extra space for adding optional, cameras, grippers, or other servo controlled fancies. Although it's not as lovable as Kondo's turtle-bot, watching this robo-bug scuttle and march (after the break, if you're wondering) is far more awesome than it is creepy. It's another sign of the robot apocalypse, sure, but are you seriously going to let that ruin your Friday, Friday, Friday, Friday? Kondo's spring-loaded spider robot cre! 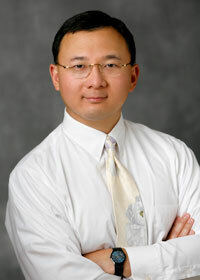 eps on t he cheap (video) originally appeared on Engadget on Fri, 08 Apr 2011 14:31:00 EDT. Please see our terms for use of feeds. We've seen augmented reality done what seems like a million different ways, but we've never seen it quite like this. The New York Times reported Wednesday on a forthcoming iPhone app called Aurasma that has the power to turn ink-and-paper publications into interactive mine fields. Aurasma, conceived by enterprise software firm Autonomy, uses a scaled down version of the outfit's IDOL pattern recognizer to identify images stored in a vast database, and then converts those images into related video. Unfortunately, the first release of the app, scheduled for sometime next month, comes in the form of an AR advertisement / game for an unidentified upcoming movie, and the company's founder seems solidly focused on the technology's marketing potential. 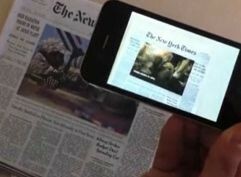 No word yet on when or if we can expect to see our New York Times come to life, as seen in the video at the source link below, but if this is the future of augmented reality, count us in. Aurasma's AR iPhone app to turn everyday objects into multimedia triggers (video) originally appeared on Engadget on Sat, 09 Apr 2011 01:18:00 EDT. Please see our terms for use of feeds! . We can't say we're pleased that camera makers still haven't called an armistice in their megapixel war, but a race for the speediest memory card is one battle we can get behind. Delkin says its 32GB Elite 633 SDHC is the fastest in the world, with 80MBps and 95MBps write and read speeds, respectively, handily trumping Sony's new Memory Sticks that so recently impressed us. This card's ideal for people who shoot gobs of 1080p video, 3D movies, and high-resolution shots coupled with RAW files, but with a price of $440, it's only worth it for pros. And debutants. 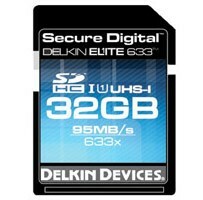 Delkin Elite 633 claims to be the fastest SDHC card with 80MBps write speeds originally appeared on Engadget on Sat, 09 Apr 2011 07:03:00 EDT. Please see our terms for use of feeds. 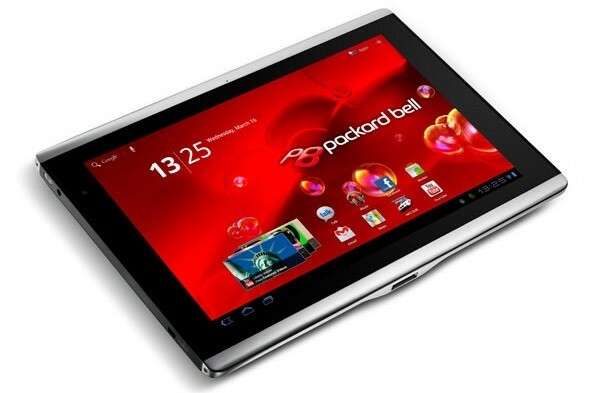 You didn't think that Acer wouldn't be sharing some of its new tablets with its still-kicking Packard Bell subsidiary, did you? 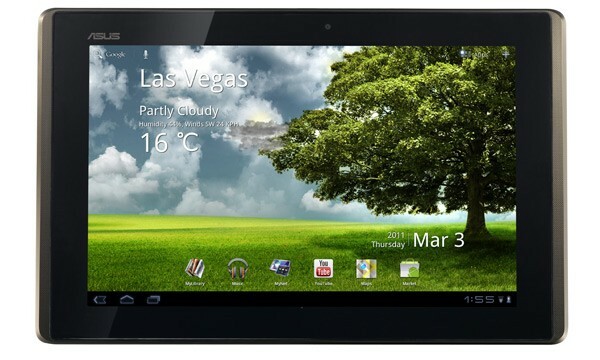 The latter has now debuted the Liberty Tab, its own spin on Acer's Iconia Tab A500. As you might expect, however, there aren't many differences beyond the name, with this one packing the same styling, 10-inch screen, Tegra 2 processor, dual cameras, and Honeycomb OS as its more widely-available counterpart. Launch details are still a bit iffy, but you can apparently expect this one to hit Europe sometime in June, with pricing to vary by country. Head on past the break for a hands-on video courtesy of Notebook Italia. 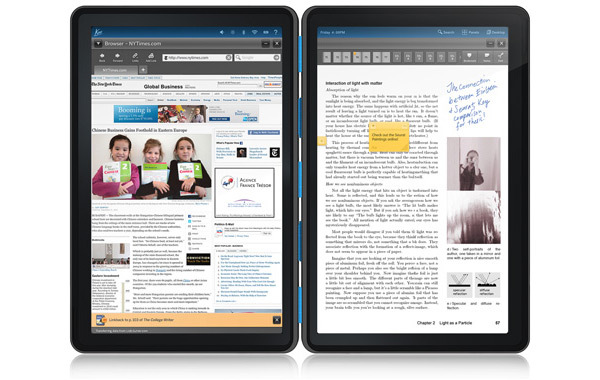 Packard Bell debuts Liberty Tab Honeycomb tablet, clearly adores freedom originally appeared on Engadget on Sat, 09 Apr 2011 09:05:00 EDT. Please see our terms for use of feeds. Last.fm is one of our favorite music recommendation and statistics engines, and if you've fallen in love with Amazon's new Cloud Player service, you're probably looking for a way to scrobble the songs you listen to. This script will do the trick. Last.fm is pretty powerful, but only really works well if you keep scrobbling what you listen to. The more you scrobble, the more accurate your recommendations will be. To make sure your Last.fm account keeps up with your cloud listening habits, just install this userscript into Chrome, Firefox with Greasemonkey, or your other favorite compatible browser. Then reload Cloud Player, and you'll notice a Last.fm option in the upper right hand corner. Click it, authenticate your Last.fm account, and let the jamming begin. From then on, Cloud Player will scrobble anything you listen to from that browser to Last.fm. We still haven't heard much more about that Federal Grand Jury investigation into Pandora and other mobile apps over privacy concerns, but an independent security firm has now gone ahead and taken matters into its own hands. According to an analysis done by the folks at Veracode, Pandora does indeed seem to be sharing more information about you then it lets on. More specifically, they found that the Android app (they haven't yet gotten around to the iOS version) "appears" to be sending information about users' birth date, gender, Android ID and GPS location to various advertising companies -- bits of information that the firm notes could be combined to determine who someone is, what they do for a living, and even who they associate with. For its part, Pandora is simply declining to to comment at the moment, and we're guessing that's unlikely to change anytime soon given the aforementioned investigation. Hit up the source link below for Veracode's complete findings. Pandora mobile app found to be sending birth date, gender and location information to ad servers originally appeared on Engadget on Thu, 07 Apr 2011 19:02:00 EDT. Please see our terms for use of feeds. Well, what do we have here? Sure enough, it's that coveted white Nexus S with AT&T-compatible 3G that we mentioned yesterday, and we just got our dirty little paws on it thanks to a friendly tipster. This particular handset was purchased from Negri Electronics, and it's both unlocked and running Android 2.3.3 (Gingerbread), the version that just barely started rolling out to existing AWS Nexus S units in February. As you can see, it's pretty much identical to the current model, except of course for that white tuxedo and 850 / 1900MHz-friendly 3G radio. Feast your eyes upon Google and Samsung's latest prodigy in our gallery below, and hit the break for our hands-on video. 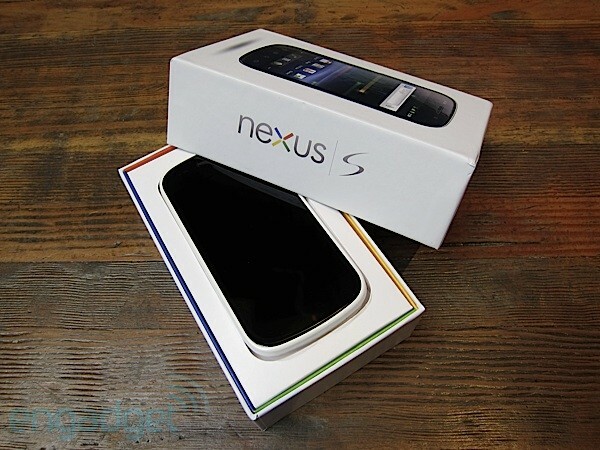 Gallery: White Nexus S with AT&T 3G bands hands-on! White Nexus S with AT&T 3G bands hands-on! (video) originally appeared on Engadget on Thu, 07 Apr 2011 19:34:00 EDT. Please see our terms for use of feeds. If you had any doubts about HTC's Incredible S making it to our shores, they're probably dissipating as we speak -- not only has the phone obtained Verizon's shiny red checkmark, it's now got the robotic eye of Sauron staring at us with ferocious intensity. PocketNow obtained these pictures of the likely Droid Incredible 2 without naming so much as an anonymous source, and we wouldn't be surprised if it's Verizon's way of reminding us that the handset is rapidly on its way to market. You'll find two more pictures at our source link. Update: Android Central got hold of some new shots of the actual phone itself, which shows off its model number ADR6350 and firmware 2.2.1. Thanks, Bla1ze. HTC Droid Incredible 2 struts its stuff in leaked press shots? 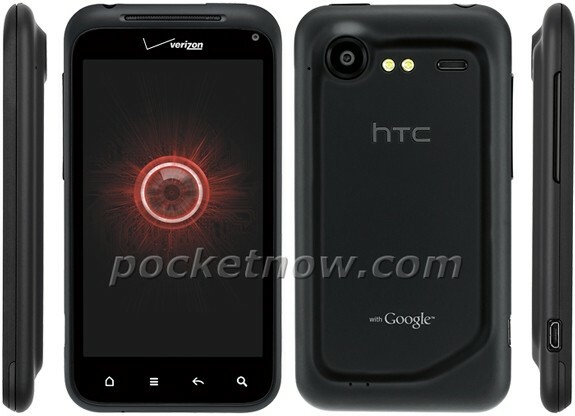 (Updated) originally appeared on Engadget on Thu, 07 Apr 2011 20:32:00 EDT. Please see our terms for use of feeds. We know, you've seen an awful lot of Zuckerberg and crew here lately, and the Facebook news just keeps rolling in. This time the social networking giant is doing some sharing of a different sort by offering public access to the specifications and best practices behind its new, more efficient data center in Prineville, Oregon. According to the company, the center, built in collaboration with AMD, Dell, HP, and Intel, has boosted energy efficiency by 38 percent while lowering cost by 24 percent. The information now available through the Open Compute Project includes technical specs and mechanical CAD files for everything from servers to building design. 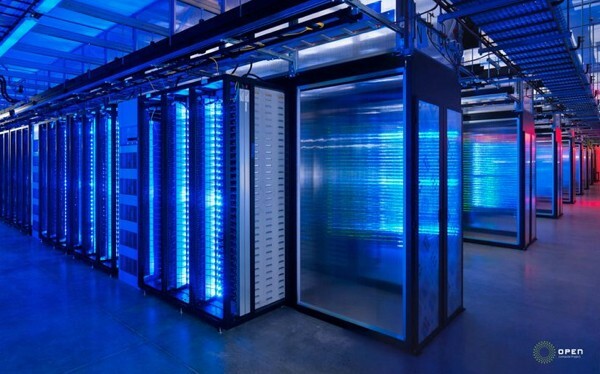 Basically, if you want to erect your own multi-million dollar Facebook-style data center, you've got the go ahead. Full PR after the break. Facebook's Open Compute Project shares plans for energy-efficient data center originally appeared on Engadget on Thu, 07 Apr 2011 21:37:00 EDT. Please see our terms for use of feeds. If the previous Alienware M11x R3 spec leak got you all giddy, then we have some good news for you: according to a manual dug up by one of our eagle-eyed readers, it appears that this year's M11x refresh will indeed be coming with second-gen Core i5 ULV and Core i7 ULV options, along with a faster DDR3 bus (1333MHz instead of 800MHz), a higher-res webcam (2MP instead of 1.3MP), an HD TrueLife LCD, and optional 3G / 4G mobile broadband. But of course, the real meat on this laptop is its graphics card, which turns out to be an NVIDIA GeForce GT540M with either 1Gb or 2GB of dedicated memory -- not bad for a laptop of this size. Unsurprisingly, no dates or prices are mentioned here, but given the early start of inventory clearance, it shouldn't be long before Round Rock reveals all. 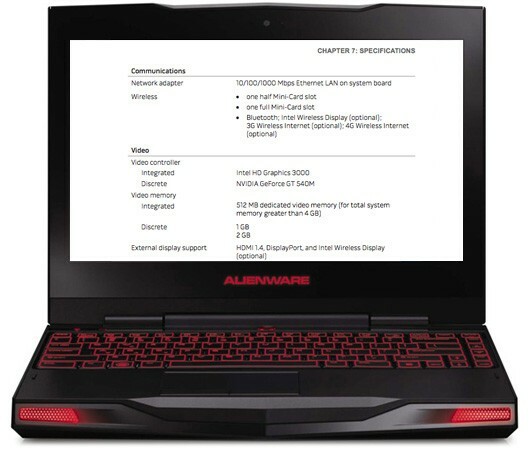 Manual for Alienware M11x with Sandy Bridge confirms NVIDIA GT540M graphics originally appeared on Engadget on Fri, 08 Apr 2011 03:08:00 EDT. Please see our terms for use of feeds. A month or so ago, we reported that Kno was looking for a way out of the tablet hardware business and intended to transition itself into a purely software-centric operation. Well, now Bloomberg and All Things D tell us that a deal has been worked out to make that desire a reality. A $30 million investment round led by Intel Capital has reportedly been arranged, whose stipulations include granting Intel a license to the hardware designs and blueprints of the original dual-screen tablet. Chipzilla's share of the new buy-in is estimated at around $20 million, though before you start fantasizing about what the company's financial and R&D muscle could do for the platform, we should note that it apparently doesn't intend to build any tablets of its own. The goal is simply to obtain the knohow and share it with its OEM partners (while inevitably tying that gesture of goodwill to more chip orders). As to Kno itself, it'll try to exploit the new cash in its continued efforts to become an educational software delivery platform benefiting from its many partnerships with academic institutions. Knowledge is power, after all. Intel licensing Kno hardware for partners with manufacturing knohow originally appeared on Engadget on Fri, 08 Apr 2011 04:24:00 EDT. Please see our terms for use of feeds. We're still sitting here playing with our Decepticon and Autobot toys, Jetfire and Starscream continuing their battle for airborne supremacy. It's how we entertain ourselves whilst waiting for ASUS to release its Transformer tablet on the world, but now we can at least get our hands on what makes it tick. The source code for that 10.1-inch tablet with its IPS screen and Honeycomb flavor has just been lobbed up onto the company's site and, with just a few clicks, you can continue its trajectory right onto your storage device of choice -- though you'll need to run it through an unzipper before it can really have any impact. What you do with it after that is up to you, but you're going to have to wait a bit longer before you'll have anywhere to deploy the results of the included makefile. ASUS releases Eee Pad Transformer source code, physical bits to come later originally appeared on Engadget on Fri, 08 Apr 2011 07:24:00 EDT. Please see our terms for use of feeds.